Sign up to become a Source VIP member and you’ll hear about special offers, new product offerings, and industry news ahead of the crowd. Even better, you’ll automatically be entered into our regular VIP prize draws! It’s our way of thanking you for being a Source customer. Past VIP prizes have included a $2000 office makeover, a trip for two to Las Vegas, tickets to see Elton John in concert, a VIP Season Subscription to the opera, an executive, ergonomic chair, tickets to local sporting and theatre events, $25 Source Bucks, and more. Welcome to the family! 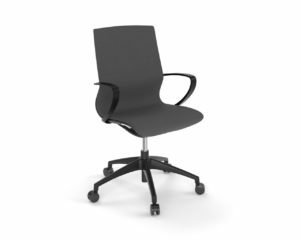 As a VIP member, you’re automatically entered for a chance to win a Maric Executive Chair! Join our family of VIP Customers! as well as automatic entry into our exclusive VIP prize draws!